Do you like this butterfly picture? I have a framed print ready and waiting for purchase. Black frame, white mat, 16 X 20 print, outside diameter approximately 20 x 23 and ready for hanging. $169.00. (Well - you will have to wait for this print - it is hanging in a public building in Oregon City right now.) Reiki Infused Greeting Cards are available at Accent on Attitude in Gresham Oregon. Travel Fee - $1.50 a mile. More fun than a Tupperware party! Guaranteed. Appointments gladly made at a convenient time for both of us. I can come to your location. Telephone appointments are awesome and available too. I do Reiki for People and Pets. I can come to your location. I am also available for Employee Perks programs where I come to your place of business for a set period of time. Special arrangements can be made specific to your business. No charge for travel if within 7 miles of me in Gresham. Gift Certificates are available - $75.00 for an hour session of blissful Reiki. Treat yourself - treat a friend - buy a special occasion gift for that person who HAS everything. Reiki gift certificates would be great gifts for your wedding party - you know - those people that need a special treat. Do you have an organization that would like to learn about the benefits of Reiki? I can come to your you and speak about the benefits of Reiki too and/or schedule an employee perk day for the well-being of your employees. Happy employees are more productive employees. ​Book a healing, relaxing Reiki appointment. Thank you for being part of my Reiki Life. It is my pleasure and honor to serve you. Did you know I have a WordPress site? Check from time to time to see what inspiration Spirit has given me to share. The following one was published in the Gresham Senior Center Newsletter. What if you left this fantasy world of What If's? I am an active community volunteer and can help refer you to other healing resources. Welcome to Heart Felt Healing Touch. My name is Billie Shults. I am a Reiki Master, following my passion and sharing the gift of Reiki on a daily basis with anyone I can get my hands on. I was certified in Reiki Level 1 and 2 in 2010, took the Master level class in 2012 and loved it so much I retook all of the classes in 2013. 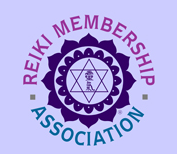 I am a member of both NW Reiki Association and the International Center for Reiki Training. Besides being a small business entrepreneur, I am a volunteer at Providence Compass Oncology Clinic and community events where I share my enthusiasm for this beautiful energy as well as my love for photography. Have Table - Will Travel! As the sole proprietor of Heart Felt Healing Touch I provide mobile Reiki sessions as well as telephone appointments. I am continually amazed at the benefits my clients receive, from deep relaxation (okay, regularly putting them sleep!) to relief, and in some cases, cessation of chronic pain or asthma symptoms and increasing overall well being and heightened energy levels. As my business grows, it will expand into teaching others and expanding the services offered. I am available to facilitate and educate at wellness meetings as well as lead workshops such as creating Treasure Maps or Vision Boards in the community. My experience in energy medicine began in the early 1990's when introduced to Therapeutic Touch, Reiki and other healing modalities and metaphysical concepts. I took a Therapeutic Touch class and still have sweet memories of the relaxation and stress relief my mother felt from this technique. Around this same time I was introduced to the teachings of Louise Hay, author of the famous Little Blue Book, "You Can Heal Your Life". For years I secretly looked up symptoms of people I knew and found the emotional relationships to dis-ease to be very accurate and the affirmations to be very helpful. I bring a copy of this book to my healing sessions for clients to browse. This was the beginning of an ongoing interest in alternative ways of healing, thinking and being. It has become a part of who I am as a healer and working closely with Spirit. I rediscovered Reiki and the healing community while looking for old friend from those earlier times who had written a book and had pursued shamanic practices. It was through finding her, that I found the monthly Reiki Circle facilitated by my beloved Reiki Teacher, Colleen Benelli. I took Level I and II classes in 2010 and received the Master Level training in June of 2012. I haven't stopped practicing and learning since then and feel compelled to share this natural and intuitive healing ability through the birth of Heart Felt Healing Touch. I am told on a regular basis that I am shining or radiating Reiki. The more I use this healing art, the stronger the benefits are for clients. Another activity enjoyed is being an artist/photographer, enjoying capturing the beauty of the moment. I manage to capture details normally bypassed to create extraordinary images from something ordinary. This means slowing down, looking at an object from multiple perspectives and becoming 'at one' with my surroundings. Sometimes this inspires putting thoughts to paper in the form of poetry. One day I would like to mix my pictures and poetry and publish a book of what I call "inspired writing". I create hand made, Reiki Infused greeting cards and framed prints. These are currently available at an art gallery in Oregon City as well as a few businesses. I am an active member of Three Rivers Artist Guild. The gallery, which showcases about 40 artists per rotation, is located inside of the Singer Hill Cafe. It's a beautiful place to share a cup of coffee and more with a friend. Other interests include volunteering at Portland'5 Centers for the Arts, music, friends, family and her greatest love of all, her granddaughter. I was blessed to be the official photographer at her birth capturing all of those important "Firsts". You can find me on Facebook, Instagram and sometimes wandering the streets of downtown Gresham and other places of beauty and interest. The best advertising is Word of Mouth. Please help spread the word so I can be here for you, your friends and our community as someone to come to for healing, stress reduction, bliss and blessings!